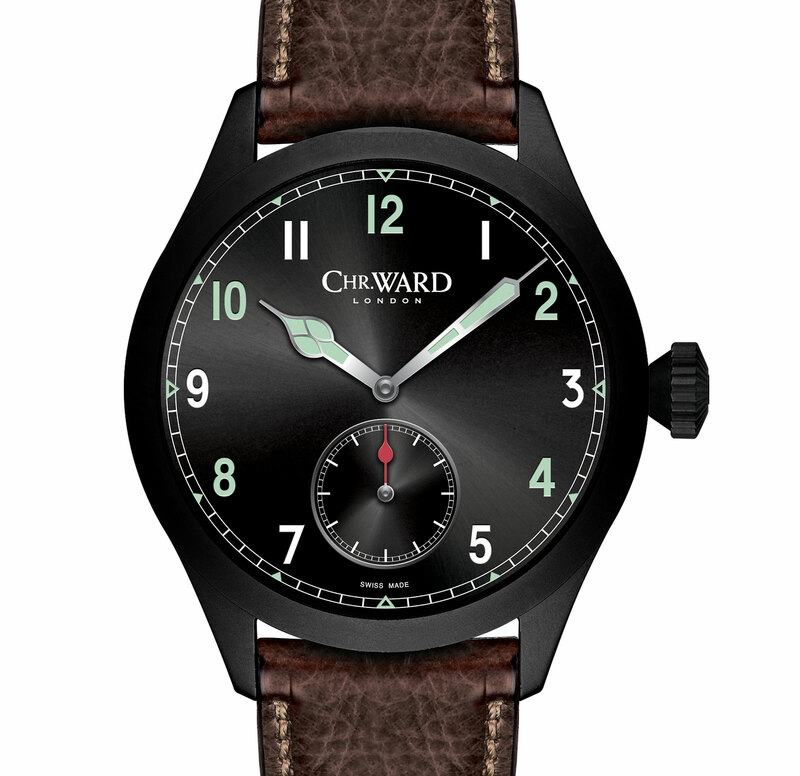 Christopher Ward's prototype C8 P7350 chronometer will go under the hammer, with proceeds going to charities that support British military veterans. Spitfire P7350 has the twin distinctions of being “the oldest airworthy Spitfire in the world and the only Spitfire still flying to have actually fought in the Battle of Britain”, according to the Royal Air Force. 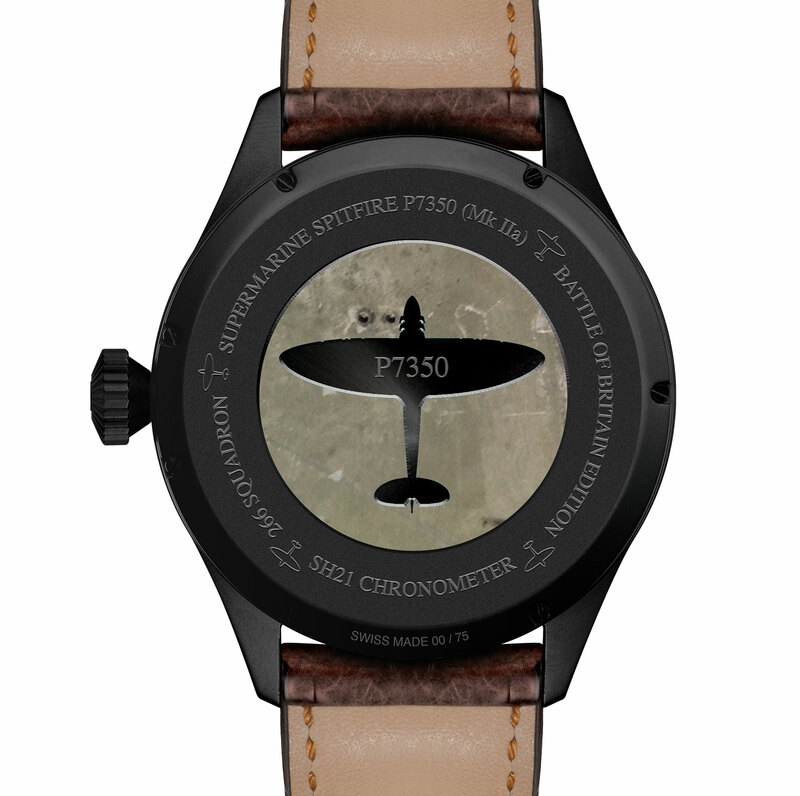 It entered service in August 1940, and now a tiny piece of the aircraft is part of the prototype Christopher Ward C8 P7350 Chronometer wristwatch that will be sold to benefit veterans’ charities. Originally launched as a 75-piece limited edition in 2015, the C8 P7350 Chronometer is 44mm in diameter, with the case in stainless steel with a black coating. The case back of the C8 P7350 Chronometer is inlaid with a piece of Duralumin, a lightweight aluminium alloy from Spitfire P7350, and numbered “00/75”. 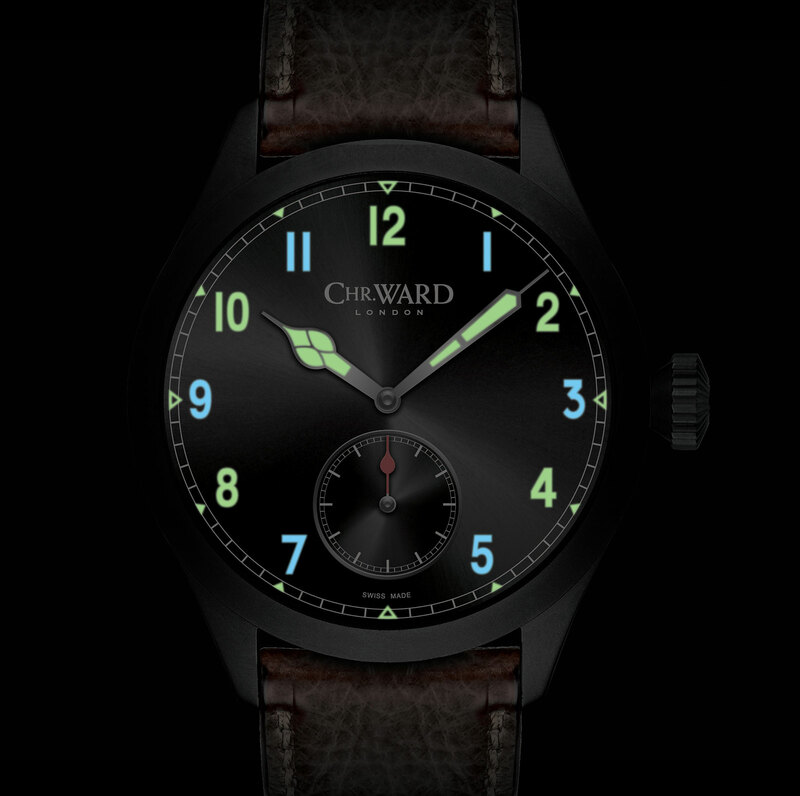 The hour numerals are painted in two colours of Super-Luminova, while the dial is designed after the Mk IIa clock that was mounted in the cockpit of the Spitfire and made by Smiths, a defunct English watchmaker. Inside is the self-winding calibre SH21, a hand-wound movement with a 120-hour power reserve. The calibre is Christopher Ward’s in-house calibre, after the watch brand merged with Synergies Horlogères, the company that developed the movement, in 2014. The prototype C8 P7350 Chronometer will be sold at a silent auction online that takes place on November 7, 2016 at 11am to 10pm GMT. Bidding starts at £3,450, or about US$4200, which was the original retail price for the limited edition. All proceeds from the sale will go to The Royal British Legion and SSAFA, the United Kingdom’s largest charities dedicated to armed forces veterans and their families. Bids can be placed here. Correction November 1, 2016: Link to auction fixed.